Theo Vernon was the Associate Director of Bands at Grissom High School from 1985-2018 and as of June 2018 is the Director of Bands. He holds degrees in Saxophone Performance and Music Education from The University of Alabama and a Masters degree from VanderCook College of Music in Chicago. He attained National Board Certification in 2003 and re-certified in 2013. He was the first band director in the state of Alabama to receive this certification. He received, as the State of Alabama’s ﬁrst Instrumental Music Educator, National Board for Professional Teaching Standards Certiﬁcation in November 2003. He received re-certiﬁcation as a National Board Certiﬁed Teacher for the years 2013-2023. At Grissom, Vernon works with the 220+ marching band, directs the Symphonic Band I, rehearses with the Symphonic Band II and Concert Band, and also directs the two jazz bands. While in college he was hired by Walt Disney World in Orlando, Florida, to perform with the All-American College Marching Band (1983) and also as the Assistant Director for the ﬁrst ever All-American College Orchestra at EPCOT Center (1984). Mr. Vernon conducted the Grissom Band on stage at the prestigious MidWest Band Clinic in his first year of teaching in 1985. His Symphonic Band 2 has performed at the Music For All Concert Band Festival as well as numerous Dixie Classic Festivals including consistent superior ratings at their Grand National Adjudicators Invitational Festival. Symphonic Band 2 was accepted and performed at the Alabama Music Educators Conference in January 2016.
selected as one of four U.S. high school jazz bands to perform at The International North Sea Jazz Festival in The Hague, Holland in 2002.
selected as one of 12 bands from across the U.S. to compete in the Swing Central Jazz Band Competition in Savannah, Georgia in 2013, 2015 and 2017. Mr. Vernon is a member of state and national organizations including: ABA, MENC, NEA, NBA, Phi Mu Alpha, JEN and the Alabama chapter of Phi Beta Mu; the national band directors fraternity. Vernon has served as a District Chairman and IAJE president for the state of Alabama. Brent Harris has been selected as the new Associate Director of Bands as of June 2018. 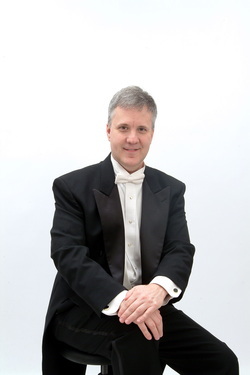 Mr. Harris holds degrees in Music Education from Appalachian State University, and a Master’s degree in Instrumental Conducing from the University of Southern Mississippi. Prior to his appointment at Grissom, he taught in the North Carolina public schools for ten years, including positions at East Lincoln High School, East Iredell Middle School, and Lincolnton Middle School. Bands under the direction of Mr. Harris have consistently earned superior ratings at Concert MPA in grade levels II through VI. His marching ensembles have consistently placed in finals at regional level events and have been awarded numerous class titles and grand championships around the southeast. Mr. Harris has held positions with several state-level band organizations. He served on the executive board of the North Carolina Bandmasters Association, as well as the Northwest District Bandmasters Association. He is a past chairman of the NCBA Marching Band Committee. Mr. Harris has had extensive experience with both the marching band and drum corps activities. He has been a performing member of two world-class Drum and Bugle Corps; Carolina Crown and the Santa Clara Vanguard. He is active as a drill designer and adjudicator for both music and visual captions at marching competitions across the southeast. Mr. Harris’s professional memberships include the Music Educator’s National Conference, the North Carolina Music Educators Association, American School Band Directors Association, and Phi Mu Alpha Sinfonia, the Men’s Music Fraternity. As a lifelong fan of aviation, he has earned a private pilot’s license and enjoys flying around the region when not working with a performing ensemble.